For more of my interview with Blair Daly, visit Sounds Like Nashville. 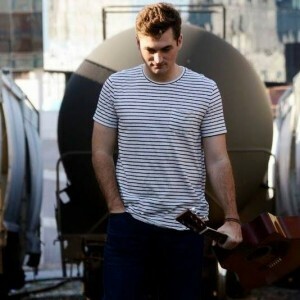 Josh Thompson penned his first song at the age of 21, just six months after he got his first guitar, and he hasn’t been able to stop since. The 40-year-old tells Sounds Like Nashville over the phone that he’s always writing something. Becoming a full-time songwriter wasn’t easy though. Thompson had a day job as a concrete finisher, which allowed him to pay his bills and make enough money to get by so he could spend his free time writing songs. 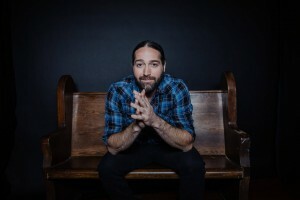 He soon garnered a record deal with Columbia Nashville after being recognized for a song he wrote in 2008 that Jason Michael Carroll cut called “Growing Up Is Getting Old.” The song became the title track to Carroll’s sophomore album, released in 2009. Thompson says “Growing Up Is Getting Old” was an important song that helped to kick start his songwriting career. While it didn’t do anything on the charts, “Growing Up Is Getting Old” marked his professional start as a songwriter as it was his first major cut. 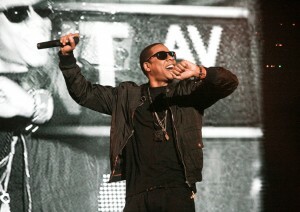 The following year he’d release his debut album, Way Out Here. He co-wrote each of the project’s 10 tracks, including Top 20 singles “Beer On the Table” and “Way Out Here.” The latter hit No. 15 on the country charts and was Thompson’s biggest hit as a solo artist. Thompson co-wrote “Way Out Here” with David Lee Murphy and Casey Beathard. While he doesn’t recall how the song came to be as he penned it nearly a decade ago, he says he remembers the feeling he had once the song was finished. For more of my interview with Josh Thompson and the hits he’s written including Jason Aldean’s “Drowns the Whiskey” and “Any Ol’ Bar Stool,” and Blake Shelton’s “I’ll Name the Dogs,” visit Sounds Like Nashville. Sister Hazel will release their second of four EPs on Friday (Sept. 7). Titled Wind, the seven-track EP is part of the compilation series Elements. One of the standout songs on the project is a soaring ballad called “In Two.” Written by Sister Hazel guitarist Ryan Newell and Todd Wright, Newell tells the story behind the song that he wrote for his wife on their wedding day. 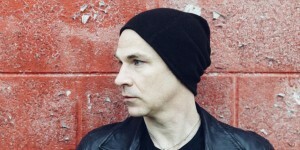 Newell says as he and the band were picking out songs for their EP, it seemed like the perfect opportunity to feature “In Two” on the project. While his bandmates had forgotten about the song, when he played it for them they all agreed that it should be included on the release. The delicate three-minute track features Andrew Copeland on vocals with backup harmonies from Wright’s daughter. An obvious choice for a wedding song, “In Two” strikes a chord. “I’ll never let you go / No matter what darkness comes in / I will shelter you / Nothin’s breaking us in two / Hold onto me, I’ll hold onto you,” he sings on the chorus. “In Two” will be available on Sept. 7 as part of Sister Hazel’s new EP, Wind. While thousands of country music fans descend upon Nashville this week for CMA Fest, many songwriters will also be traveling through Music City. Today, The Workshop owner Austin Evans offers his tips on the five best places to write a song in Nashville. The Workshop is Nashville’s only 24-hour songwriting space. While many other places shut their doors at 5 p.m., this little spot on historic Music Row has songwriters penning hits around the clock. It’s hard to beat the location, which is among industry giants Big Machine, Ole and Liz Rose Music Publishing. Not to mention, it’s just a short walk to Edgehill Cafe for some coffee. The Workshop has four different writing rooms, each with its own particular vibe. Large enough to comfortably accommodate at least three people, none of the rooms share a wall, which cuts down on distracting outside noise. 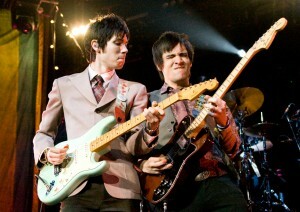 Two guitars and a full-size keyboard are available if writers aren’t able to bring their own instruments. The Workshop’s time slots are 8 a.m., 11 a.m., 2 p.m., 5 p.m. and 8 p.m. but if you want to use that 5 o’clock slot or later you’ll have to sign up for a membership. The memberships don’t have a contract, so you can cancel at any time. Writers are also welcome to book a room for a one-time fee of $20. A “first write free” policy is in place so songwriters can come use the location once before they decide if it is for them. InDo Nashville is one of the premier co-working spaces in the city. While the focus here is more than just songwriters, they still offer a special Songwriting Membership. InDo is located in the heart of downtown Nashville. These writing rooms are comfortable, warm and inviting. Since InDo is primarily a co-working space, it one of the quieter places in town to write. InDo books its writing session in two 3-hour blocks from Monday-Friday with the first session starting at 10 a.m. and the second starting at 2 p.m. Some of the amenities include a friendly concierge, coffee/tea/water service, high-speed Wi-Fi and community & networking events throughout the year. Writers coming from out of town can book one-time writes for $20. NSAI, or the Nashville Songwriting Association International, is one of the biggest players in the songwriting world. They have chapters all over the world so if you need a place to write outside of Nashville, research to see if there’s a group near you. 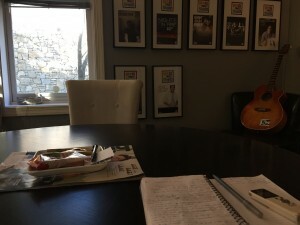 While NSAI’s main focus is on education and legislation, the headquarters in Nashville has several writing rooms available as well. The rooms here are cozy and most come with a keyboard for piano players. Also located off Music Row, NSAI sits next to some of the largest publishing and management companies in the industry. While they don’t let non-members reserve rooms, membership here comes with several perks beyond the writing rooms. NSAI holds weekly seminars, pitch-to-publisher meetings, and the opportunity to attend the world-renowned NSAIs Song Camp. To book a room here, members should call the front desk to reserve a day and time. Believe it or not, the library has writer rooms available as well. There are four separate spaces here with names like the Eskind Writer’s Room, Schweid/Mills Writer’s Room, Jack Knox Writer’s Room and the Fred Russell & Robert Churchill Sr. Writer’s Room. If you’re brand new in town you might not qualify, but if you fit the requirements this is one of the best options in town. It also comes with complimentary parking just a few blocks down from Lower Broadway and some of the best live music in the world. Whether you are affiliated with ASCAP, BMI or SESAC, each of these has a headquarters in Nashville with writer rooms available. The rooms are stylish and comfortable with plenty of space to stretch out. Like NSAI, booking these writer rooms is completely free for members. The only trouble you might run into is the sheer number of members these organizations have, so if you have a day that you absolutely need a room, make sure to book it well in advance. Membership to all three is free, although you have to be invited to join SESAC. To join BMI or ASCAP, simply sign up on the company’s website. Grainne Duffy released her critically acclaimed debut album Out of the Dark in 2007 and the striking project garnered the Irish singer-songwriter sets at festivals like Glastonbury, Blue Balls, Blues du Passion, and Tremblant International Festival. A testament to her songwriting and stage show, the singer continues to impress on her latest album, 2017’s Where I Belong. The 10-track LP highlights her impact as a solo artist with memorable storytelling and bluesy vocals. Duffy’s music has a throwback feel that at times recalls Janis Joplin and her impressive guitar skills coupled with her standout songwriting and captivating vocals make it easy to envision her playing the stage at Woodstock. With guitar playing and distinct soul that brings to mind B.B. 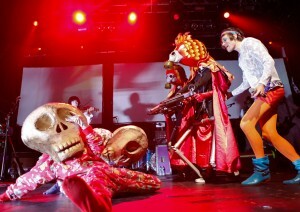 King, Duffy is one artist to keep on your radar. One listen to her performance of “Drivin’ Me Crazy” and it’s easy to see why she’s a respected artist overseas. Other highlights include her current single, “My Love,” where Duffy proves she is a triple threat with infectious singing, engaging storytelling and memorable guitar shredding. Meanwhile, the title track of her latest album continues her intrigue. Listen to both below. For more on Grainne Duffy and to check out her tour dates, visit her website. 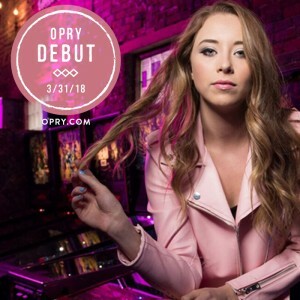 Kalie Shorr will make her Opry debut on Saturday (March 31). The singer-songwriter learned the exciting news last month and shared a tearful video reveal with her mom. “Mom, what are you doing March 31?” she asks in a minute-long clip shared on Twitter. She can barely choke the words out before she tears up, and Mom can be heard getting emotional, too. I’ve covered Shorr several times for Taste of Country, who named the singer a RISER artist in 2017. Shorr has been an outspoken champion for female country artists who are coming up with her. She recently teamed up with more than 20 female singers to release “Time’s Up,” a song and video track she co-wrote which addresses the mistreatment of women in society. Additionally, Shorr is an original member of Song Suffragettes, a weekly all-female singer-songwriter round at the Listening Room in Nashville. There couldn’t be a better female artist selected to perform on the Opry stage on the final day of Women’s History Month. Listen to two of my favorite songs from Shorr in the videos below. Cassadee Pope is set to release her new single “Take You Home” on Friday (March 30) and the song marks the singer’s return following a label departure. I chatted with Pope for Billboard and she says “Take You Home” was the perfect reintroduction to her solo career following the success of her 2016 duet “Think of You” with Chris Young. The song blends pop and rock elements with hand-clapped rhythms, slick production and soaring guitar parts that support Pope’s memorable vocals. It’s the descriptive lyrics, though, that Pope says feel distinctly country. 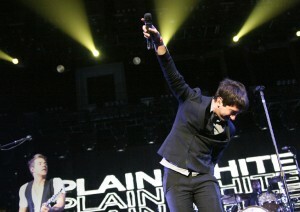 “Take You Home” was written by Ben Hayslip, Emily Weisband, and Paul DiGiovanni, and Pope knew upon first hearing it that she wanted the song for herself. “Being single for the first time in eight years, I definitely felt those feelings when you meet somebody for the first time and you’re like, ‘I want to show you where I come from and I want to take you home but not in that fleeting way. 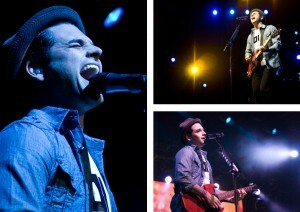 I want to take you to my hometown and show you what shaped me,'” she says. For more of my interview with Pope, visit Billboard. Listen to a snippet of “Take You Home” below. 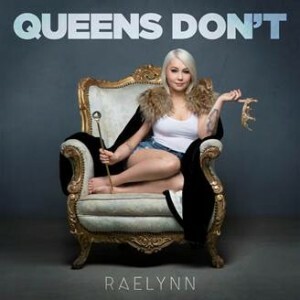 RaeLynn recently released her new single “Queens Don’t” to country radio. Penned by the singer with Corey Crowder and J Hart, the empowering anthem was inspired by her mother’s hard work to raise five kids as a single mom with no formal education. At a single release event at Nashville’s Suzy Wong’s House of Yum, RaeLynn discussed the evolution of the song and how she hopes to build people up with her music. Following RaeLynn’s song introduction, she was joined by three drag queens dressed as some of country music’s biggest stars — Shania Twain, Dolly Parton and Reba McEntire — while the final queen played the role of RaeLynn’s twin as she sang her new single to the room of industry professionals. “Queens don’t hate, queens don’t fight / Queens don’t stay unless their king treats her right / Every jewel on my crown you better believe I earned it / Won’t keep people around that don’t believe I deserve it / No, queens ain’t fake / A queen’s gonna rule just the way she was made,” RaeLynn sings on the chorus. Watch her music video for “Queens Don’t” below and catch RaeLynn debut the song on the Opry Friday night (March 30). I reviewed the album recently for Sounds Like Nashville and it’s a release that I find myself still listening to after turning in my article, which is always a good sign! Opening track “Girl Goin’ Nowhere” has become an anthem for both the singer and country fans, and it’s easy to see why. 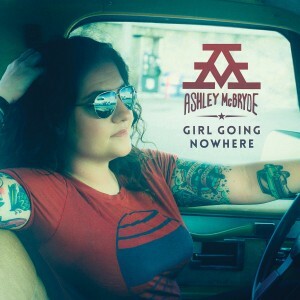 Inspired by an algebra teacher who told the Arkansas native she should have a backup plan when she shared her dream of moving to Nashville to write songs, “Girl Goin’ Nowhere” is a powerful and heartfelt ballad that has McBryde proving her naysayers wrong. For more of my review, visit Sounds Like Nashville. Pick up a copy of McBryde’s Girl Going Nowhere, available everywhere on Friday. Congratulations is in order for Lauren Alaina, who was revealed as an ACM Awards winner today. The singer received a phone call from Reba McEntire, who let Alaina know that she has been named the 2018 New Female Vocalist of the Year. The career-defining moment had the “Doin’ Fine” singer in tears and speechless. She even got McEntire teary eyed! Watch the sweet moment below. This is Alaina’s first-ever ACM Award. She is also nominated for Vocal Event of the Year for “What Ifs,” a collaboration with Kane Brown. The 53rd Annual ACM Awards air live from the MGM Grand Garden Arena in Las Vegas on Sunday, April 15 at 8pm ET on CBS. The singer released her sophomore album, Road Less Traveled, last year and it became the top-streamed female country release of 2017. Songs like powerful anthem “Road Less Traveled,” which also became her first No. 1 hit, showcase the singer’s memorable vocals and her skills as a songwriter. Meanwhile, her latest single, “Doin’ Fine,” has Alaina revealing her vulnerabilities to listeners. As a result, the poignant song strikes a chord. Alaina is set to perform on the ACM Awards on April 15, allowing viewers to get to hear the New Female Vocalist of the Year live from Sin City.